Josh Silverman is not who you would expect to manage your portfolio. He has an art history degree, and his business Jericho Advisors is located in an antique bank across from Alessandro’s Pizza. Josh’s love for art and the Elliotborough neighborhood is no hinderance to his understanding of his field however. 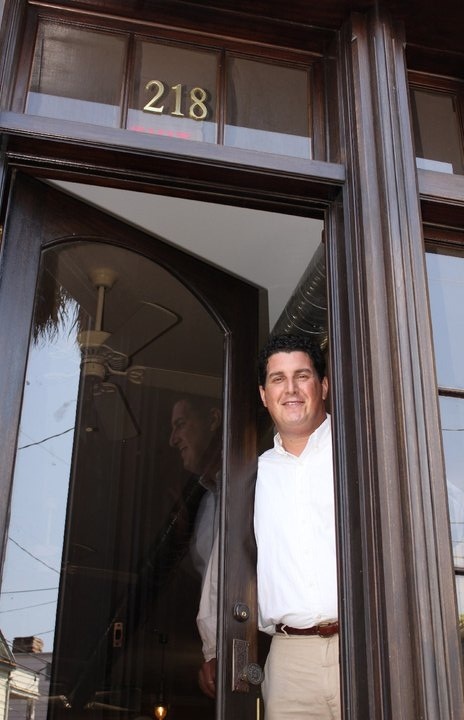 When the Silverman family relocated to Charleston 8 years ago, he had a goal in mind. He chose Charleston Sc as a town with loads of small business potential. His background as a small business advisor and running investment groups opened the door for a new kind of business. Josh explained that he customized an approach to wealth management that introduces private investors to small local companies. Along with more traditional fare such as stocks, bonds, mutual funds and commodities investing; Jericho Advisor’s team also offers a more socially responsible and community based approach. To find out more email josh@jerichoadvisors.com and make an appointment to stop by the gorgeous office at 218 Saint Philip St. in downtown Charleston’s Elliotborough Neighborhood.